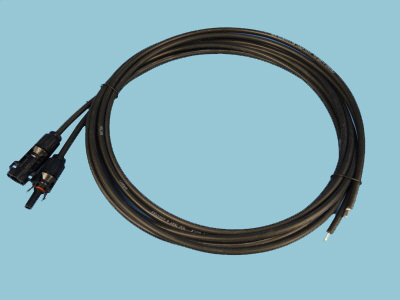 Our professional 4mm single-core solar cable is specifically designed for connecting photovoltaic system components permanently and comes fitted with one pair of solar connectors of your choice. MC Type 4 solar connectors are now the most common connector used within the solar industry, however you can select the solar connector you would like us to fit to the cable below. When ordering cable online we have a selection of pre-cut length options available, however you can order any length of cable by simple contacting our Customer Support on 01508 488 188.